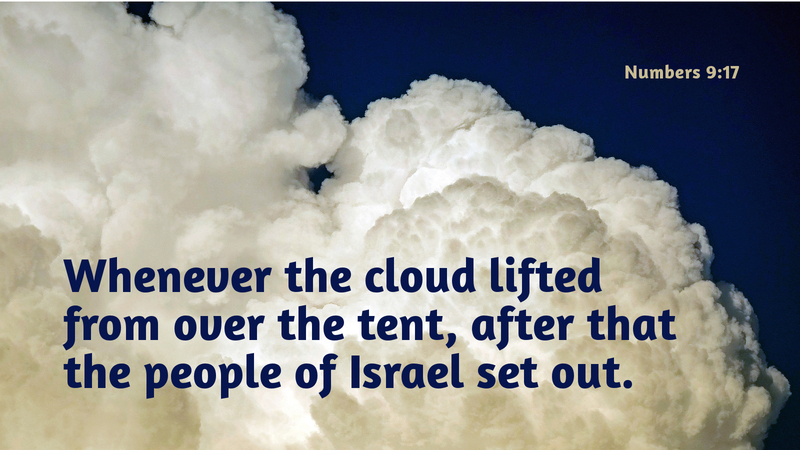 In today’s reading from the Book of Numbers, we hear of a cloud covering the tabernacle that housed the Ark of the Covenant as the people of Israel passed through the wilderness. The image of a cloud covering something is often viewed as an ominous sign, an obstruction to seeing clearly, indication of a storm to come. Yet in this passage in Numbers, the cloud is a sign from God, direct communication on where and how long the people should camp in a particular place. I have served a number of congregations in conflict in my ministry. There is often a cloudy atmosphere covering those places, a cloud of disagreement and strife. Congregations may become divided into special interest groups with specific agendas, and that spirit of competition obscures shared mission. Conflict can become paralyzing as the energy of the congregation is expended in keeping the disagreements alive, keeping score in the competition. But conflict may well be a sign from God, a cloud indicating that a congregation is in the place God has called it to be until God removes the cloud and the congregation may move on with renewed energy for mission in unity and shared purpose. Prayer: Dear Lord, help us to seek your presence in the clouds that surround us, finding in them the direction you provide us to serve you and proclaim the good news of Christ to the world. Amen. You are so right! Look at the good that has come from Augsburg’s cloud!